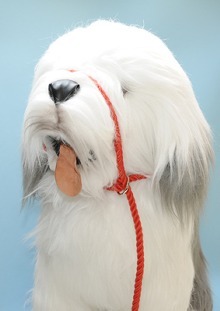 Our Rope Dog Halter is a 2m long slip lead that can be used to create a dog halter. 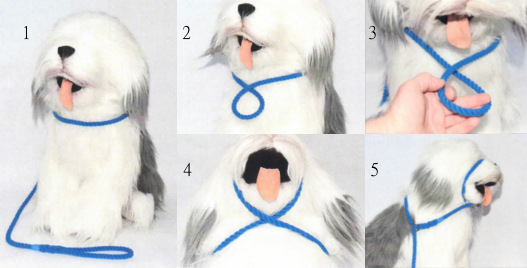 The image below shows how to construct the halter. 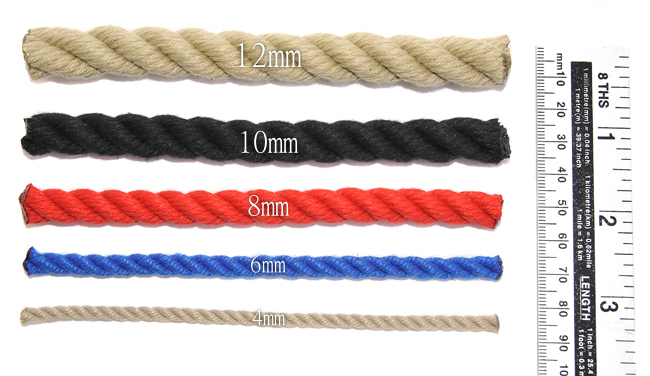 These dog halters are hand spliced from top quality marine rope. The rope is light, durable and washable. We do not use any metal crimps, or simply melt the rope together. We provide a 1 year fair wear and tear guarantee. Select the colour of the dog halter from the drop down box below. You can also upgrade the lead to include brass fittings by ticking the box below. The lead I ordered was despatched promptly and received a couple of days later without so much as a hiccup. I was able to use it immediately without any fuss and was immediately impressed with the quality of the lead, fittings and finish. It has been in the washing machine already as we came back from a walk somewhat wet and muddy and it dried out as good as new. With this in mind it should last years but I will be purchasing another as a spare. Would I recommend this item? The answer is a resounding Yes! I bought this in natural rope with the brass fittings, it's a very classy looking well made product. Very happy with it. When used as a figure of 8 our dog stopped pulling immediately, although she has been known to paw it off once or twice! Maybe an additional clip to attach the lead to the collar would be a good security measure. Otherwise, very happy.